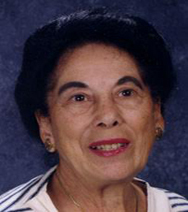 Misto, Muriel H., 87, passed suddenly at home Monday (1-18-2016). Born in Providence a daughter of the late Matty and Angeline (Resendes) Marcello, she had lived in Johnston since 1978. Mrs. Misto was the owner of Laura Street Realty for 20 years before retiring in 1986. She was an avid Lawrence Welk fan for many years. She leaves a son James J. Misto of Johnston and many nephews.